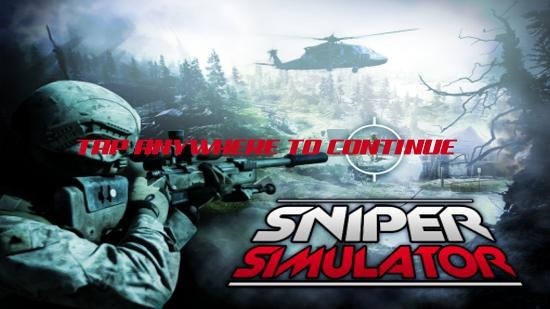 Sniper Shooter Simulator is a free game for Windows 8 and 8.1 which allows you to play as a sniper and your aim is to shoot at any moving target (human). Launching the game will present you with the main menu which can be bypassed by merely tapping or clicking anywhere on the screen and afterwards you will be taken to the gameplay interface. In the gameplay you will be presented with a first person style shooter graphics where you can move around with WASD, access the sniper scope via the right mouse button, use the scroll wheel to zoom through the scope and left click to fire. Sniper Shooter Simulator is available for free from the Windows App Store. When you launch the game, you will be presented with below shown screen. Click anywhere in the screen above to be taken to gameplay. This is shown below. You can use the WASD keys on the keyboard to move around. 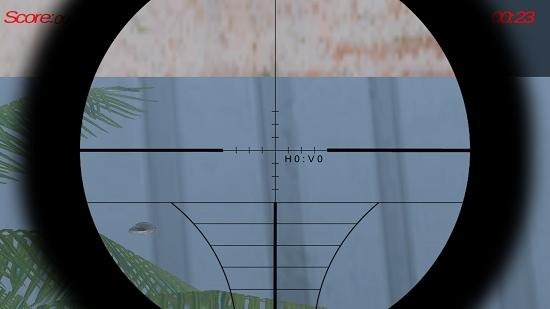 To zoom in to the scope, simply right click. You can zoom in or out via the scroll button on your mouse. You can also so it by pinch zooming on tablets or touch devices. In the below screenshot you can see that I have fired a bullet. The bullet hole is visible as a grey dimple in the wall towards the bottom left near the leaves. This winds up a very brief review of the feature set of Sniper Shooter Simulator for Windows 8 and 8.1. 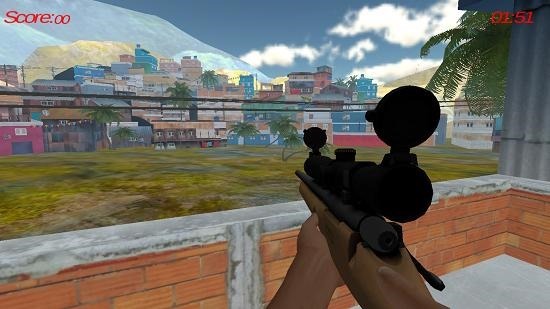 Sniper Shooter Simulator is a well designed sniper game for fans of first person shooter games. 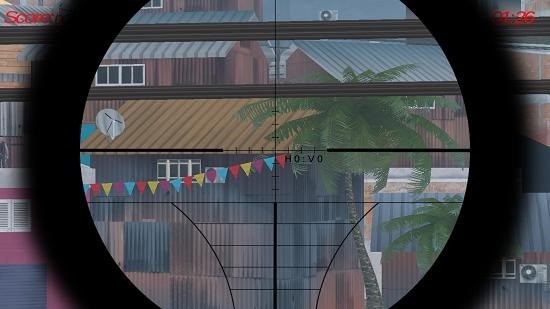 The game has realistic sniper gun recoil effects as well thereby sticking true to the physics of an actual gun. You can get it from the link below.